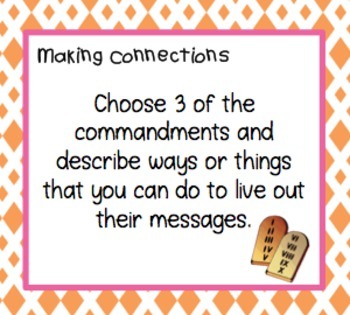 Predict, ask questions, visualize, infer, determine importance, analyze and make connections! 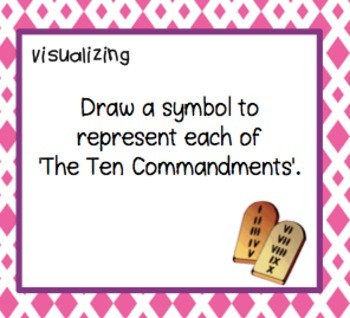 7 key comprehension strategies that have been integrated to help your students develop a deeper understanding of 'The Ten Commandments'. 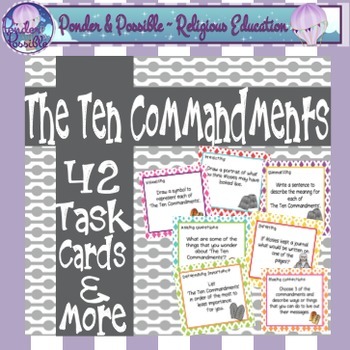 Designed to stand alone or as part of your reading program, these 42 task cards require your students to read, reflect, interpret and evaluate. 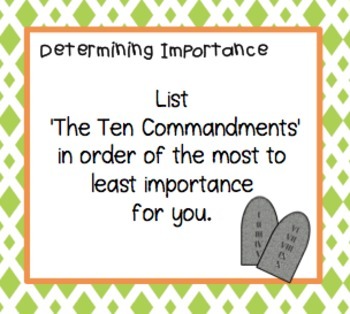 Thank you for viewing a ‘Ponder & Possible’ product.